Research and Information System for Developing Countries (RIS) is an autonomous research institution established with the financial support of the Government of India. It is India’s contribution to the fulfilment of the long‐felt need of the developing world for creating a ‘Think‐Tank’ on global issues in the field of international economic relations and development cooperation. RIS has also been envisioned as a forum for fostering effective intellectual dialogue among developing countries. RIS is mandated to function as an advisory body to the Government of India on matters pertaining to multilateral economic and social issues, including regional and sub‐regional cooperation arrangements and innovation policies. RIS functions in close association with various governmental bodies, research institutions, academicians, policy‐makers, and business and industry circles in India and abroad. RIS has a consultative status with UNCTAD, NAM and the WTO and has conducted policy research and other activities in collaboration with agencies including UN‐ESCAP, UNCTAD, UNU, Group of 77, SAARC Secretariat, Asian Development Bank (ADB), The World Bank, and the South Centre. RIS publication programme covers books, research monographs, discussion papers and policy briefs. It also publishes journals; South Asia Economic Journal, Asian Biotechnology and Development Review, and RIS Diary. 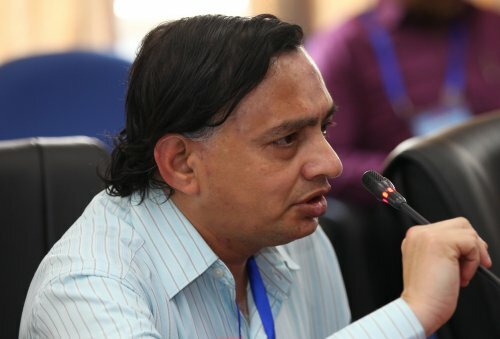 Dr Sachin Chaturvedi is a Senior Fellow at the Research and Information System for Developing Countries, a policy research institute in New Delhi, India. He works on key policy issues confronting the developing world with a focus on trade, technology and innovation linkages. He was Global Justice Fellow at the MacMillan Center for International Affairs at the Yale University, where he worked on drug prices and IPR related issues. He is author of two books, edited three volumes and has published several research articles in various prestigious journals and contributed chapters in different books. His experience and assignments include working at the German Development Institute (2007), Institute of Advanced Studies Shimla (2005) and the University of Amsterdam in 1996. He was a member of IGSAC Committee of Experts to develop a framework of Cooperation for conservation of biodiversity in the SAARC region. He has worked closely with several international agencies like the World Bank, UNESCAP, Bangkok, FAO and several other UN agencies. Currently he is leading the RIS work programme on emerging economies and their development cooperation polices and is Visiting Professor at the Centre for Studies in Science Policy. School of Social Sciences. Jawaharlal Nehru University New Delhi. Dr Krishna Ravi Srinivas is an Associate Fellow with RIS and Managing Editor of Asian Biotechnology and Development Review. He holds a Phd from the National Law School of India University and did research on biodiversity and intellectual property rights. He was a recipient of a Fulbright Fellowship and was, a visiting Scholar at the Law School, University of Pennsylvania, Philadelphia and a visiting Scholar at the Law School, Indiana University, Bloomington. He was a Post‐Doctoral Research Fellow at the South Centre, Geneva. He has written on inter alia, intellectual property rights, open source and open innovation models, traditional knowledge, and, climate change and technology transfer. He has been a consultant to UNDESA, Anthropological Survey of India and UNESCO.